We have received your request to have one of our certified, licensed and fully insured basement waterproofing contractors get with you to setup a time that is convenient for a thorough inspection and written repair recommendation list. You can expect to hear back within 72 hours of submission of this email or on the following Monday if this was sent during the weekend. Below you can read some details on the contractor found. Since 1994, AdvantaClean has provided thousands of customers with indoor air quality solutions that make every home and building a healthier place to live and work. From your initial phone call to the completion of your project, we will show you why AdvantaClean of Iredell County is the environmental contractor of choice for so many home and business owners in Mooresville, NC and surrounding areas! The Foundation Doctor is a family owned & operated, local foundation repair business with over 25 years of experience. We specialize in basement waterproofing and foundation repair needs such as crack repair, bowing or leaning walls, sinking walls or foundations, sump pumps, crawl spaces, street creep and more. We are rated an A+ with the Better Business Bureau. We’ve even lifted entire buildings & structures that no other St. Louis foundation repair company could do! 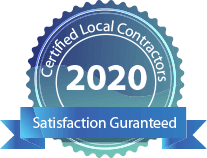 Guaranteed Property Solutions, LLC (GPS) is a certified Mold Inspection and Remediation company offering non-toxic mold remediation and prevention. We bring experience and schooling with a modern touch to get you and your family up to today's healthy living standards. In addition, we are rated an A- with the Better Business Bureau! Advanced Foundation Repair fixes foundation issues with basements, garages and crawl spaces in Central Missouri. There are guaranteed solutions for water coming through your basement walls, leaking wall cracks, sump pump replacements, and engineered solutions for foundation settlement issues including bowed or leaning basement walls, so let our experienced staff with over 30 years of combined experience help you and your basement needs. Terminix is a national pest control service with a branch that services the Springfield and surrounding areas. Corporately, we are rated an A+ with the Better Business Bureau. We have a network of certified, licensed and insured contractors that specialize in Crawl Space Repair, Waterproofing, and Encapsulation. Once you enter and search your ZIP code, the nearest Expert will be available for you to complete a contact form to schedule a FREE estimate or ask any questions you might have. You do not have to register with us and we do not charge any fees. If You've Got Crawl Space Questions, We've Got Crawl Space Answers! At Crawl Space Maintenance, we get a lot of questions from people concerning their crawl spaces. In this section we answer the most commonly asked questions. If we do not have the answer you are looking for, you can submit your question to an Expert in our Network.